The Palmer Group » 7 Rodney Terrace, Northborough MA. 7 Rodney Terrace, Northborough MA. This entry was filed under . You can follow any responses to this entry through the RSS 2.0 feed. Both comments and pings are currently closed. Error 130: Account not activated, please contact the site administrator. Lending A Helping Hand To One Of Our Builder Partners In Worcester. When asked to help one of our builder partners sell a home they were having...Continue Reading! Exciting Weston Remodeling Partnership Project at 33 Sunset Rd. We uncovered this wonderful good bones home in Weston for one of our investment partners who...Continue Reading! Wykeham Road, Newton MA Home Sale $2,000,000. Dear Mike and Jim, It was a wrenching decision to sell our home of 36 years. ...Continue Reading! 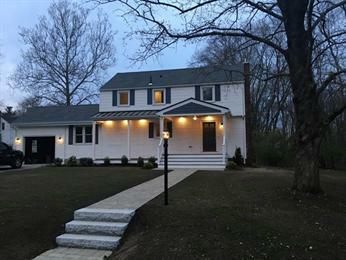 Knollwood Drive, Dover MA Home Sale $785,000. Dear Mike and Jim, I seldom open mail from realtors, there must have been an angel...Continue Reading!